Everyone, old and young from 4 years on. Climbing means to adapt the own body to the vertical world. This is accomplished by the knowledge of the art of movement and the techniques of climbing. 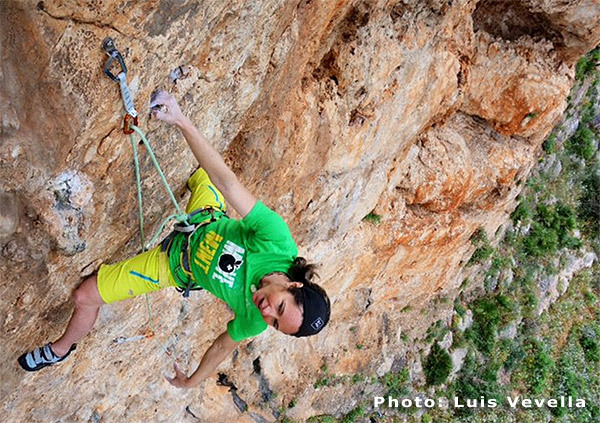 The movement of climbing allow the rediscovery of the harmony of spirit and body in an splendid natural context. Playing with the friction on smooth slabs, jamming cracks and chimneys, powering through mind blowing overhangs – these are the sensations a day on rock will give you. This activity can be done all year round. The climbing places often offer a chance to spend a wonderful day with the whole family. In case of bad weather the nice climbing gyms can be used, which are more and more spread in our region. At the beginning no skills or training is required. The difficulties vary a lot depending on the skills you have, the training condition and the age. Normally we start at the 3th-4th grade, which means that the steepness of the wall is never excessively vertical, the holds are always pretty obvious and never far away and all passages can be done in various kind of ways, without being obligatory. At the crags used at the beginning (for example Lillaz crag, big wall di Arnad, etc.) there are no difficulties represented by the ambience. For the more advanced and trained ones there exists also the possibility for sport climbing routes in the ambience of the high mountains like the huge granite towers surrounding the Monte Bianco. All the necessary equipment will be provided by the guide: harness, climbing shoes and helmet.